Have a bunch of old crayon stubs laying around? There are tons of cool crafts out there that use crayons, but this one makes a really unique decoration (and gift!) and the color combinations are endless. It doesn’t require a lot of supplies or prep, either, and what you do need can be found at craft stores for cheap. 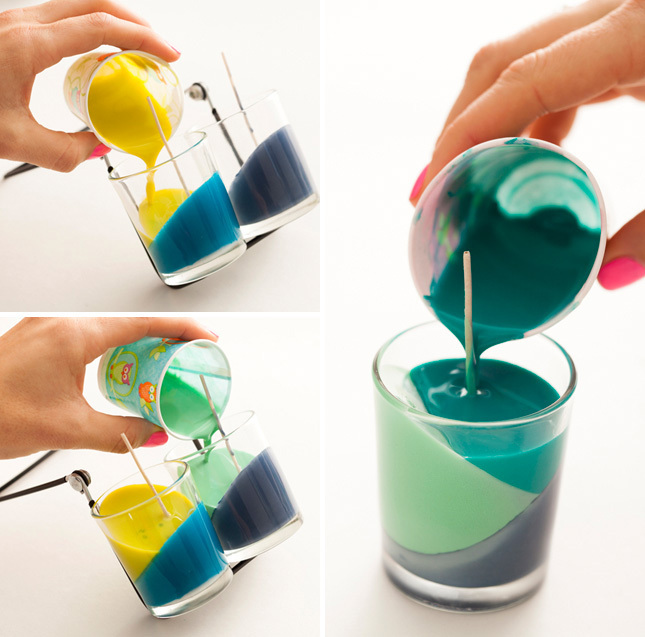 A tip: buy some essential oils to mix in with the wax and you’ll have a cool candle that smells great, too!